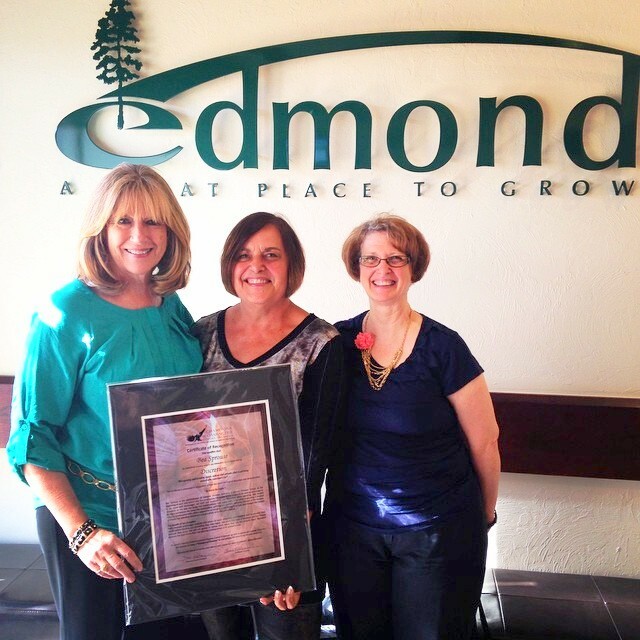 Edmond Christian Academy - About Us Educational Certification Statement Early Childhood Letter Character Love & Leadership Bea Sprouse honored as Champion of Character for "Discretion" We operate as a 501c3 under Edmond Christian Center, Inc. We are registered as Edmond Christian Academy with the State of Oklahoma as a “Trade name” under Edmond Christian Center, Inc.
Bea Sprouse honored as Champion of Character for "Discretion"
We operate as a 501c3 under Edmond Christian Center, Inc. We are registered as Edmond Christian Academy with the State of Oklahoma as a “Trade name” under Edmond Christian Center, Inc. Thank you for your interest in Edmond Christian Academy (ECA) and Edmond Christian Center (ECC). Perhaps the following information will be of benefit as you are in the selection process for the school God has chosen for your child. Certainly this is an important choice, and with God’s help we believe you will be led to the perfect place for your family. There are many excellent schools and churches in our area. Our prayer is that God directs your search. 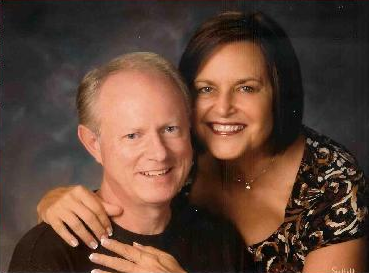 In 1987, God called us to begin ECA with the vision to provide a Christian education environment for Born-Again families who have chosen to “come out from among the world and be separate.” ECA is an extension of the total ministry of Edmond Christian Center. God has shown us the home, church and then the school working together to first develop Godly Character and then provide academic excellence. Academic excellence is difficult to achieve for a student whose mind is focused with worldly things (secular music, unwholesome movies, body piercings, tatoos, extreme hair styles & color, extreme dress, drugs, drinking, disrespect for authority and other forms of rebellion). When confusion is removed, students learn quickly and easily, and peace prevails. Our students gain easy admission to college and do very well. When transferring to other schools, we find our students consistently test above grade level. ECA is a place where Christian families may come who have clearly chosen not to go the disturbing way of the world, but rather want to be “peculiar” people and a holy nation. We’re in this world, but we’re not of it. We believe that the Bible clearly teaches that parents are responsible for the “Life-Training” of their children. Jesus gave us instructions as to how we should live. In His instructions He gave a commandment to teach (Matthew 28:19); He gave us teachers to do the training (Ephesians 4:11), and He gave us the way to be trained (Proverbs 22:6, John 14:26). This is God’s plan to keep His people for Himself. ECA is merely to reinforce what the parents are already teaching. In our hearts, lives and church we have a strong desire to reach the world for Jesus, but ECA is not a mission field. ECA is for those Born-Again families who are serving God and seeking after His Ways rather than the world’s ways both while at school and in daily life. Active participation in a local church body is a prerequisite for ECA enrollment. When the family unit is not seeking God with its whole heart, there will be frustration at ECA. Like the marines, “we’re looking for a few good families.” ECA is not for the masses. Our vision is limited to those who clearly want to live separated lives. We don’t want to be cliquish, clannish or exclusive, but rather extremely selective by the Spirit of God. God called us to begin this ministry, and He promised to send here those who should be here. If we allow admission to those that He has not ordained to be here, then we have compromised. The Word instructs that anything we compromise to win, we lose! We earnestly pray that we each hear God’s voice accurately (John 10:4) and follow His leading. We believe, of course, that as you seek the best place for your child’s educational experience, you will hear God clearly. Peace will follow when a decision is made with God’s perfect will. Galatians 3 says the law was given as a schoolmaster. Christian students’ parents should have begun training them to be faithful in natural and spiritual things. As Christian students approach upper school, they should begin to take more responsibility for their own actions, exhibit greater self-control and serve God out of a pure heart, rather than being “under the law.” The upper school at ECA is a place for students who have chosen to allow God to rule and reign in every area of their lives. The upper school years are the final experience in preparation for adult life where students learn accountability for their actions. With freedom comes responsibility; therefore, we ask each student, with his parents, to read and sign a Code of Honor (enclosed). The Honor Board, consisting of peers, parents, and faculty enforces the Code of Honor. The Honor Board reviews cases of alleged infractions of the Code of Honor and assigns the corrective measure, including removal from ECA if deemed necessary. We are living in critical times; God has a plan and a purpose for each of our lives. Our prayer is that we all find that plan and purpose and seek with all our hearts to fulfill it. Again, there are many excellent schools in our area, both public and private. May our prayers be that all schools become better every day and that Godly wisdom be upon teachers, staff and administrators. Our desire for your family is that you find God’s perfect will for your child’s educational experience. If you have prayerfully considered this information, feel comfortable signing and adhering to the Code of Honor, and you indeed believe God is directing you to ECA, then complete the attached application, enclose the $50 application fee, and return both to the school. After we have received both items, you may call for an interview. Our prayer is that your family be where God desires you and that you prosper and be in health, even as your soul prospers (III John 2). One additional bit of information you must have is that ECA is also unique in that we have adjusted our daily total teaching hours so that we are able to utilize our time more efficiently enabling us to schedule our school week to a 4-day plan rather than the traditional 5-day plan. So, ECA’s school week is Monday-Thursday, 8:30-3:30 with a 15-minute chapel to dedicate each day to the Lord. All the teachers have found they can cover more material in our new 4-day structure than they were with the 5-day system. If you are a working parent and need Friday care for your child, it is also available. Fridays are also utilized for special-tutoring sessions when needed. 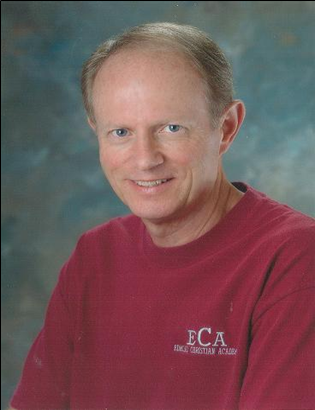 Thank you, Ken Sprouse, for your obedience to God when He asked you to leave your prosperous businesses and teaching position at OSU to begin ECA. What a leap of faith! We are finishing our second year transition without you at the helm. Its been full of challenges and victories. We’ve learned to trust in and rely upon the Faithful Father you always led us to follow. Thank you for the example you set for us. We continue to follow the pattern you left for us, as you so diligently followed Christ. As always, God is more than enough!